I wanted to share our new promotional postcards. I’m excited about them because they look awesome (Mekenzie Larsen designed the cards)! Each card has a limited run of 500 copies. One side contains a micro-short by a past Apex Magazine author. The cards are numbered and part of a ‘set’. 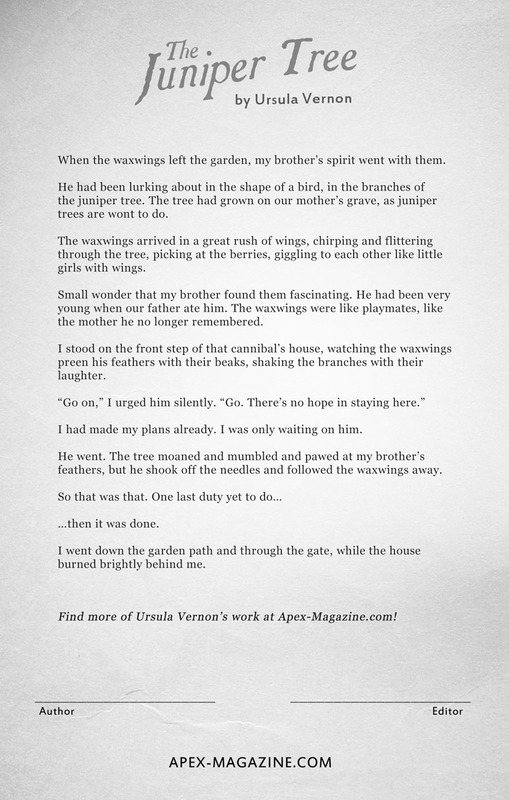 Card #1, Set #1 has a story by Ursula Vernon. Card #2 has a story by Lettie Prell. There are spaces below the story for the author and editor to sign. The size is 5″x8″. The plan is to do 12 cards a year. One a month (finances allowing). How do you get the post cards? At conventions where an Apex editor or a postcard author is in attendance. 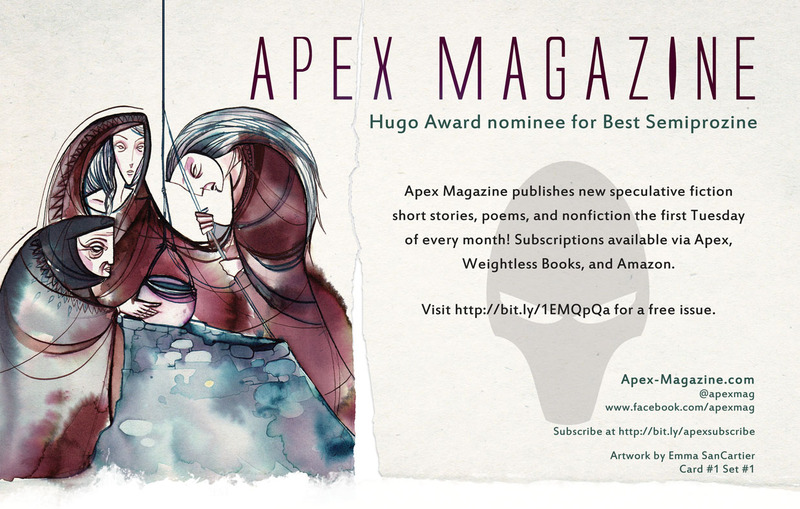 You’ll get one with any print book order from the Apex Publications store. Here are low-res images of the first card. Mekenzie Larsen is quite a talented designer.